Feel at ease getting help and support to fulfil your Auto Enrolment responsibilities. If you employ staff, the likelihood is you will be affected by Auto Enrolment. Auto Enrolment is a legal requirement so there is no getting around it and not being ready in time could lead to fines and penalties. This is uncharted territory for the majority of smaller employers who do not have any company pension arrangements in place. With our knowledge and links to financial service providers we are perfectly aligned to offer your business all the Auto Enrolment help and support that it needs. 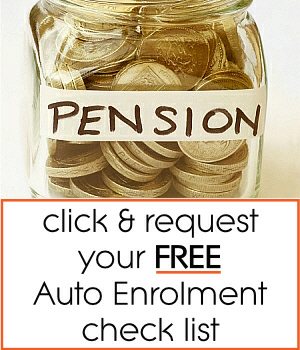 1/ We help you to understand, in plain English, what Auto Enrolment is and what you need to do. It may sound easy and it can be by using a simple, structured approach that is easy to understand. Once you have implemented your Auto Enrolment pension scheme both you and your staff will have to make contributions. These will start small and gradually increase over the coming years. Between now and 30th September 2017 the contribution level is just 2% of earnings between £5,772 and £41,865 (for 2014/15). You pay 1% and your employee pays 1%. This ongoing cost to you and your staff will help to provide an income retirement in addition to any state pension benefits available at the time.